I recently found the Benjabelle brush trees on Beautylish and since I spend half of my life washing brushes; i figured anything to expedite that task was worth a try. 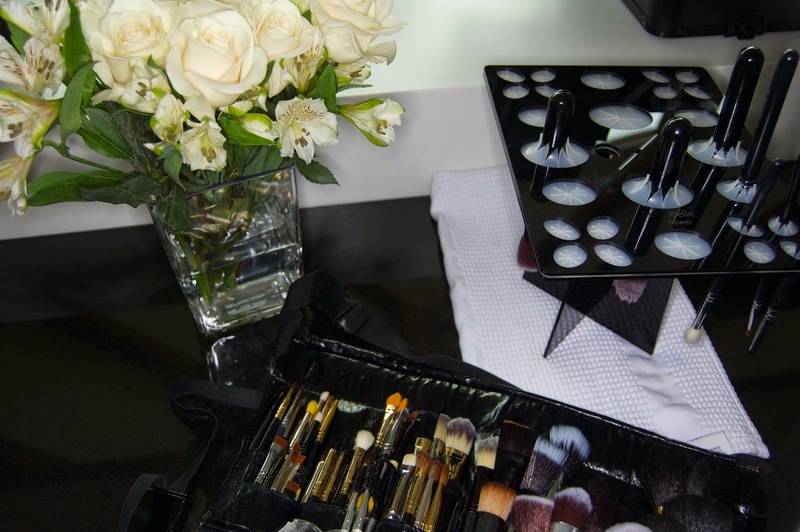 As many of you will know, the better care you take of your brushes, the longer they will remain your loyal instruments of beauty. The Benjabelle tree was created by a couple in Wisconsin as a way to, not only save space, but to dry your brushes in a hygienic way. Allowing water to drain back into the brush ferrule can encourage bacteria to grow and will also destroy the adhesive which holds your brush together. I decided to go with the Sunflower Benjabelle tree because of the sheer amount it could hold. On first use i immediately fell in love. 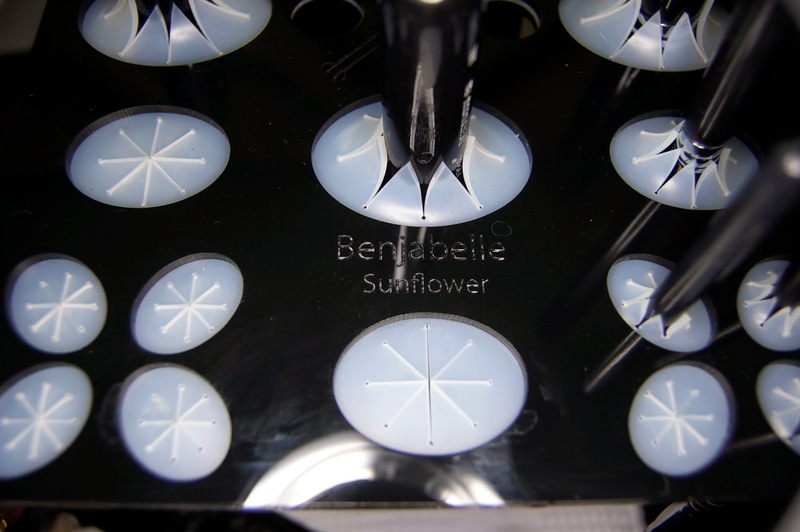 The silicone grippers really hold your brushes in place and the design minimizes the space you need to dry your brushes. I generally take up all of the counter-tops in order to dry my brushes but this took up about the same space as a copy of Vogue. 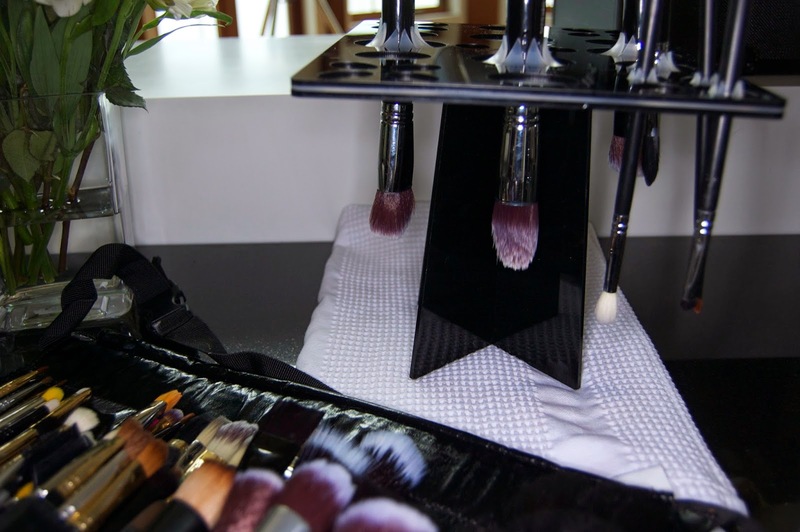 Constructed from durable Acrylic and Silicone, not only is this brush drying tree hard-wearing but its easy to construct and decontruct so its perfect for the traveling makeup artists out there who need somewhere to dry their brushes in their hotel room before working again the following morning. Over all i give this product a 5/5, i couldn't come up with a better idea if i tried and its truly a must for any brush cleaning obsessives out there, whether its for the benefit of your clients or for yourself- this is awesome. Check out their site for more info and other options or buy from Beautylish.